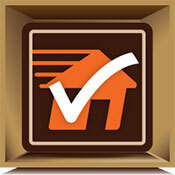 Kent Relocation Services Ultimate Moving House Checklist for relocating employees is available now! All HR managers should download and distribute this comprehensive moving checklist to assignees to help ensure a successful, stress-free start to their new working life. A moving day checklist, outlining the importance of ensuring removals access at both ends of the move, providing clear instructions to and a furniture floor plan to the professional removalists. So, if you want your employees to have a smooth, stress-free relocation and an easy start to their new working life, download Kent Relocation Services Ultimate Moving House Checklist for Relocating Employees now.